Team Tiana (Michal and Kenna) soundly beat Team Naveen (Eric) although there was some shortcut-taking around the dining room table involved. 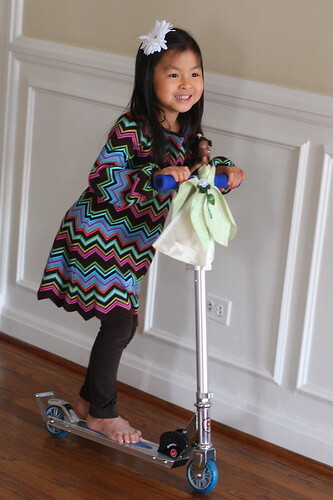 Glad to see someone else has a scooter running around the house! Caroline got one for Christmas, and she does laps around our island! Happy 2010 for you and your family! !